Porcelain Insulators > 3 Porcelain guy strain insulators. 3 Porcelain guy strain insulators. 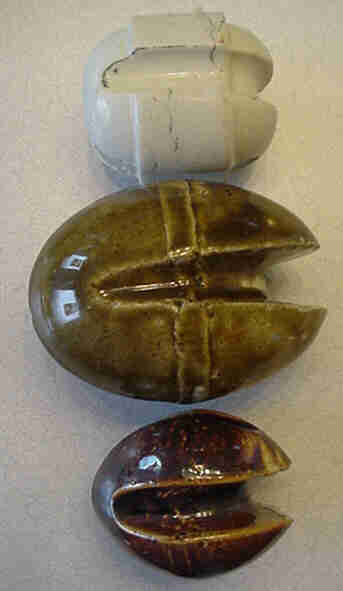 Three nice porcelain Egg and Jonny Ball type of strain insulators. I particularly like the Olive-greenish egg.